MED-ED's goal is to provide the highest quality nursing education. 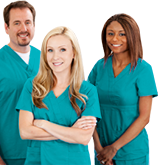 Nursing continuing education is provided through seminars, self-directed eLearning courses and hospital consultations. MED-ED is committed to excellence in continuing education and unparalleled customer care. We offer nursing continuing education seminars in many distinct areas of practice, conveniently located across the U.S. and Canada. If you are interested in a course not currently offered, please contact us. Benefit from customization options, decades of experience and detail-oriented customer service when you collaborate with MED-ED, an ANCC approved provider. Increase your percentage of certified nurses, enhance clinical performance and accelerate your Magnet Journey. MED-ED's eLearning combines streaming video/audio and PowerPoint presentations for a multisensory education experience. Since eLearning is available through any internet connection, enjoy the freedom to choose when and where your learning takes place. As a busy professional, making education a priority just got easier! Find seminars in your preferred area or specialty or choose from our extensive eLearning programs. "I have 24 years of Critical Care experience in ICU, Trauma, ED, CVICU and CCU. Your company has the best seminars that I have attended. I would travel to your next CCRN review anywhere in the country." "Cammy did a fantastic job of being professional and keeping on track while at the same time being entertaining and keeping everyone's attention." "I am so glad I had this instead of a seminar. I feel that I learned so much more information. Thank you for making this available." "Edie is amazingly relative to what we do as nurses...much can be learned from her!" "[This was] just what I wanted and needed, not a ton of content review, instead [we] reviewed for the test by studying strategies and test questions ... , exactly what a CCRN Review should be. ... Greatly appreciated!" "The seminar went well (as I expected it to). Pat was very knowledgeable, and the participants provided me with positive feedback as well. The communication was flawless, and the paperwork process was handled without any issues. We will continue to use MED-ED in the future based on our extremely positive experience and the knowledgeable speakers. Mea is always helpful and keeps our organization up-to-date on all steps of the planning process." "Overall, this is a wonderful way to learn and a great presentation of learning material. I learned a good deal of new information and ... would definitely use this type of program again. I prefer it greatly to reading a book." "All of you at MED-ED are such a pleasure to work with! You are all professional and interested in getting the training to those who need it." "I enjoyed it so much; I read the outline for fun!" "Thanks for a great resource! I passed on 2/14/13! Will be ordering the CPEN next!" "Your company is a well-oiled machine. Never are there problems; all of the speakers have depth in their presentation[s] and are able to keep the audience engaged." "The OnSite Education program met our educational needs. ... Mandi Lopez and Mea Pierman were very helpful providing support and information. The instructor was very knowledgeable and provided a wealth of information to our participants. I would recommend the program to others and [am] likely [to] use MED-ED for future OnSite programs." "[This was a] wonderful learning experience for our learners. Everyone loved the presenter and her grasp on the subject covered. " "Everything was very well-organized. My questions were answered in a very timely matter. Everyone was very responsive and pleasant to work with. I really felt like it was a great partnership. Kelly was a fantastic presenter. Many positive comments were made by the participants. I look forward to working with your group in the future." "I enjoyed this review session. It was very informative and beneficial to assist with my studying for the PCCN. I enjoyed Cammy as a speaker; she was very informative and kept the topics interesting." "Cathy Gegaris was amazing, very professional and well-educated. Her wealth of knowledge flowed into us easily! She is so easy to listen to and so informative. She was very courteous, and it was easy to ask questions. It felt more like a discussion with a friend than a stiff educational experience! She made the information so easy to understand! She deserves nothing but high praise!" "Molly was a fantastic speaker. This was my first time partnering with MED-ED, and they made things easy for me to understand, etc. Mea was a fantastic contact. Thank you again!" "It’s a great review for me. Cammy Fancher is precise, clear and knowledgeable. Thanks, Cammy." "It was wonderful. I watched the CD and reviewed the material numerous times. I passed my CCRN Exam this month and will continue to review the material." "You deliver superior customer service consistently. I know that I can always count on you to help me solve any problem that develops at the last minute." "Jeff Solheim is awesome, [an] excellent speaker. I really learned a lot! I passed the CEN in 2010. This is just a review to keep my brain stimulated. I have recommended your programs to several nurses." "Everything ran very efficiently from start to finish. All staff is exceptional to work with, very responsive and timely. Presenters are always professional and well-received [by] the participants. Thank you for all you do." "MED-ED was a wonderful company to host. Everything was well-organized and prompt. I look forward to working with MED-ED again in the future." "This is the second MED-ED seminar I have attended. The first was a CEN Review by Jeff Solheim, which was also fantastic. I am thoroughly impressed with the nurses who have been selected to speak for and represent MED-ED. They are the kind of nurses I strive to become. Keep it coming!" "I have only been a nurse for 5 years; however, this was THE BEST conference I have ever attended! Usually, when a conference ends, I find myself questioning the purpose of the conference and have not been able to apply any of the things I learned to my nursing practice. This one was so different. I took many things from this experience that I KNOW I'll be able to implement in my practice. THANK YOU!" "You are exceptional in your customer service and the quality of your faculty. Mea and Nancy go out of their way to make everything seem seamless." "This was a very positive experience. Erika Gabbard was knowledgeable, kept her audience engaged and came prepared to give her audience confidence in their abilities to master the CCRN Exam. I would highly recommend her for the CCRN Exam Review. Our staff is feeling confident moving forward with their goals in taking the CCRN Exam." "The seminar was well-presented in an engaging and professional manner. Melissa asked and answered questions in a non-threatening manner. She was well-received by the participants. 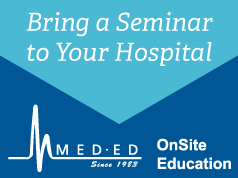 We look forward to planning more seminars with MED-ED." "Erika Gabbard was an amazing and effective speaker. She was animated and funny, which made the content even easier to understand. She covered a lot of material in a one-day course. I would absolutely recommend this program to anyone preparing to take the CCRN. It really shows you what you need to study further. ..."
"Everyone at MED-ED is extremely professional and accommodating. Kendra was an amazing speaker and extremely professional. The audience loved her." "The planning process flowed very nicely. Everyone I talked to or emailed was very nice. All materials were received in plenty of time, and the speaker was excellent!" "Cammy is a great presenter. She teaches very well and breaks things down so that you understand. She makes the class interesting. I would take another class with her." "The MED-ED experience I had was wonderful. Beth Grace was very knowledgeable of the content, and it was so nice to have a book to follow along with and take additional notes in. It was nice to spend more time with my fellow colleagues and meet additional nurses from various locations. Great experience!" "Julie Bacon was absolutely wonderful. She’s knowledgeable and an excellent speaker. Our entire group was very impressed and has asked, 'When can she come back?' I would recommend MED-ED to anyone looking for nursing education. The educators really carry your reputation and Julie is an incredible asset to nursing and your company. Your support staff including Mea and the gang is also just great to work with." "It has been a pleasure working with you and other MED-ED staff, and we look forward to continued collaboration in the future." "Cammy is probably the best speaker I have heard. She was able to hold interest and show practical application to the nursing field and was easy to relate to. The thoroughness of her knowledge and ability to simplify it for us to understand is a trait held by few people. She is definitely an asset to your organization." "Thank you for an excellent presentation. Mrs. Linda Wright was very great in the lecture. I am a new telemetry nurse ... [and] learned a lot from her about cardiac/telemetry signs and symptoms. It is helping me with better observation and assessment of my cardiac patient[s]. Thank you very much. I am looking forward to attending one of your classes again." "My goals for attending this seminar, 'Aggressive Management of the [Unstable] Med-Surg Patient,' [were] thoroughly met. I can honestly say that I left the seminar feeling more confident and well-equipped with the knowledge to care for my patients. Renee was an excellent speaker and educator. I did not feel like she spoke 'above our heads.' ... Renee was also inspirational with her stories and experiences. ..."
"Throughout the whole experience, MED-ED has always been professional and makes the entire process easy. From booking a speaker to [supplying] the brochure and handouts, it required very little effort on my part. Even when two speakers had to cancel, [MED-ED was] still able to provide a great speaker." "Miss Fancher is an excellent speaker. [She] explained the topics clearly, and [they were] easy to grasp. ... [I] love listening to my CDs while ... driving ... [and] passed my exam [the first] time." "Pat Clutter is an amazing speaker. Not only does she hold your interest due to her great personality and stories related to her experiences in emergency medicine, she is also such a well-rounded nurse with so many other experiences that are non-emergency related [that] she is able to tie in to her lectures. She is an amazing asset to your company, and [I] am thankful that she ... [was the] speaker ... [at] my seminar. ..."
"Cammy was personable, professional and very entertaining. She kept the audience engaged and identified and met their personal needs. We appreciate the opportunity to present this program to the critical care nurses of Tulsa." "I enjoyed the 'Everything Cardiac' seminar I attended last week. This is my second MED-ED seminar experience. The employees were very professional and knowledgeable. Materials [were] covered thoroughly and in a way that makes it easy for all level of healthcare professionals to follow. [I] very much enjoyed the speaker for this seminar, Linda. She was very informative and passionate about the subject matter. We were provided with excellent handout materials [that were] very easy to follow. 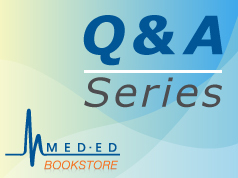 [I] would certainly attend future seminars from MED-ED if the subject was relevant to my field of practice." "Great experience! I enjoyed it so much I could have listened to the entire presentation a second time. Very helpful, informative and professionally executed." "I have appreciated working with everyone at MED-ED. Thanks for making it so easy to put these seminars on." "Everything about this seminar exceeded my expectations. Michael Gooch was knowledgeable, engaging, and he varied his approach enough to keep it interesting." "I always and only attend MED-ED for my updated Cardiac, EKG, Pharmacology issues and concerns, including [technology] changes ... . I [have] love[d] and enjoy[ed] every instructor thus far." "We were very pleased with the speaker; she brought this program to life. Her real-life scenarios were very well-received. She presented in a manner that was comfortable to both the experienced nurse and those with less experience. Several comments made during break ... [included,] 'She really knows her stuff' and 'Wow, is she knowledgeable or what?'" "The CEN Review class was awesome. The speaker was outstanding and very knowledgeable about emergency nursing. I thoroughly enjoyed this class." 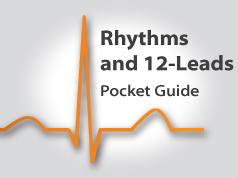 "Excellent information on stated topic, 'Everything Cardiac.' [I] appreciated the review of basics as well as the latest up-to-date information on new technological advances and future projected testing/intervention. Hotel was great; topic [was] most beneficial." "I have attended two seminars presented by MED-ED and enjoyed both and came away with new knowledge and changes to practice. I look forward to more learning experiences with MED-ED." "It was a pleasure working with MED-ED for the CPN Review course. Getting the whole package from advertisement[s], handouts, registration and excellent program/speaker was well worth the money." "This was my first experience in using MED-ED, and it was a very good one. The communication and follow-up from the staff and answering my questions was timely and complete. They even re-printed our brochure at the request of our Critical Care Director! [I] could not have asked for ... more. Thank you." "I have taken two classes provided by MED-ED and have been impressed with both. The knowledge gained will impact my job in numerous positive ways. Definitely worth my time." "This, my first, MED-ED experience was extremely enjoyable, very interesting, informative, rewarding, and left me hungering for more." "MED-ED provides ALL medical professionals with interesting, up-to-date information, the most interesting of subjects and in the best locations." "Everything ran very efficiently from start to finish. All staff is exceptional to work with. Very responsive and timely. Presenters are always professional and well received from the participants. Thank you for all you do." "Jeff Solheim was an excellent, informative, entertaining speaker, and I now feel prepared for the CEN Exam." Jeff brings with him a wealth of nursing background, including clinical nursing in medical/surgical and emergency medicine, cruise-ship nursing, flight nursing, nursing management and administration, and as a state surveyor and nursing educator. Jeff is a well-known motivational and clinical speaker as well as an author. He has written more than 25 books, contributed to dozens more and has served as editor for numerous publications. Jeff, who is a Fellow in both the Academy of Emergency Nursing as well as the American Academy of Nursing is currently the president of the Emergency Nurses Association (ENA). Aside from his work in the nursing field, Jeff is also the founder and director of a humanitarian organization called Project Helping Hands, which regularly takes medical teams into various developing countries. Jeff has personally visited over 15 countries and led over 50 teams through his organization. Jeff combines his sense of humor with stories from his travels around the world to make each seminar a fun and unforgettable experience.